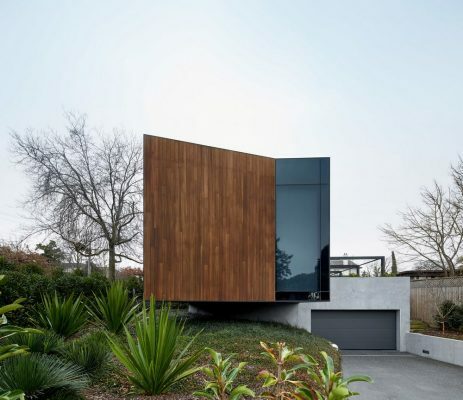 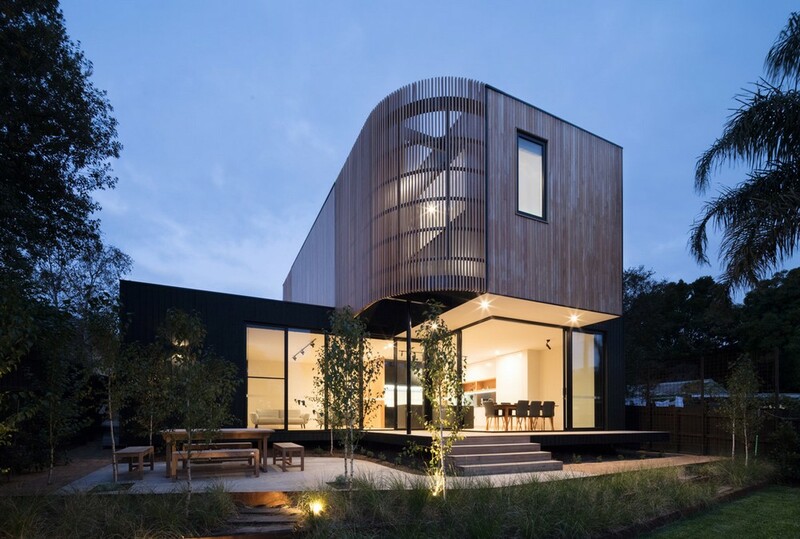 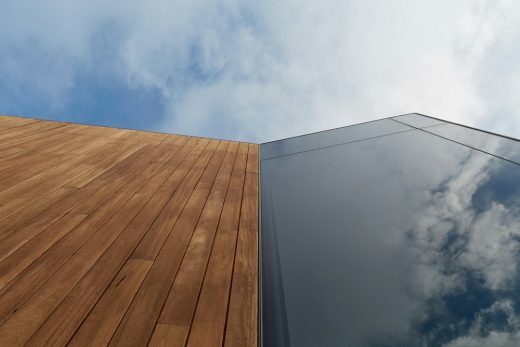 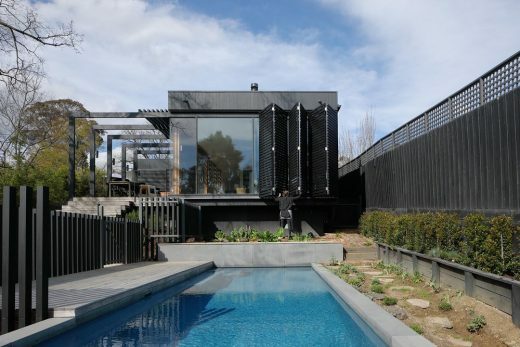 The design for Yarrbat Ave House was heavily inspired by the site, with its large oak trees on Yarrbat Avenue coupled with the open view out to the Dandenong Ranges. For the owners, it was important that the house engage with the seasonal changes of the trees and also the views from their key living areas. The home was also to be a multi-generational home with grandparents and the family living together. 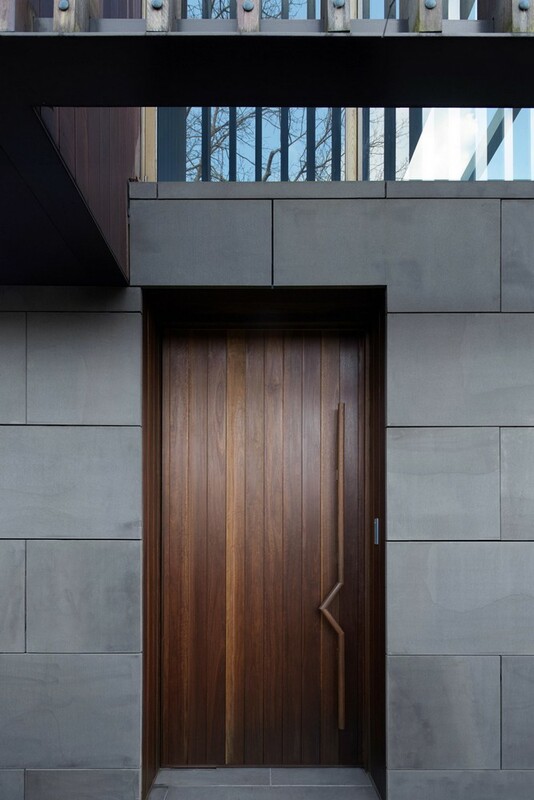 As such, it was important that each person have a sense of space and retreat. A double storey family residence that took full advantage of the elevated vantage point on which the site would sit. 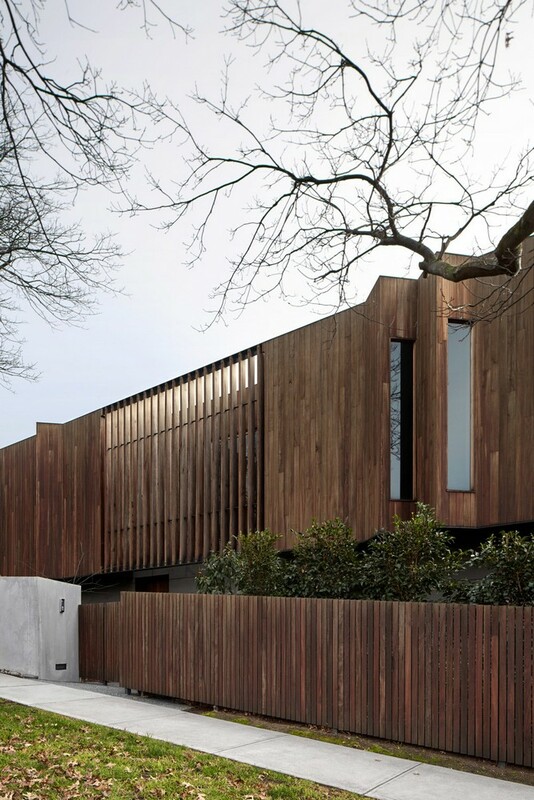 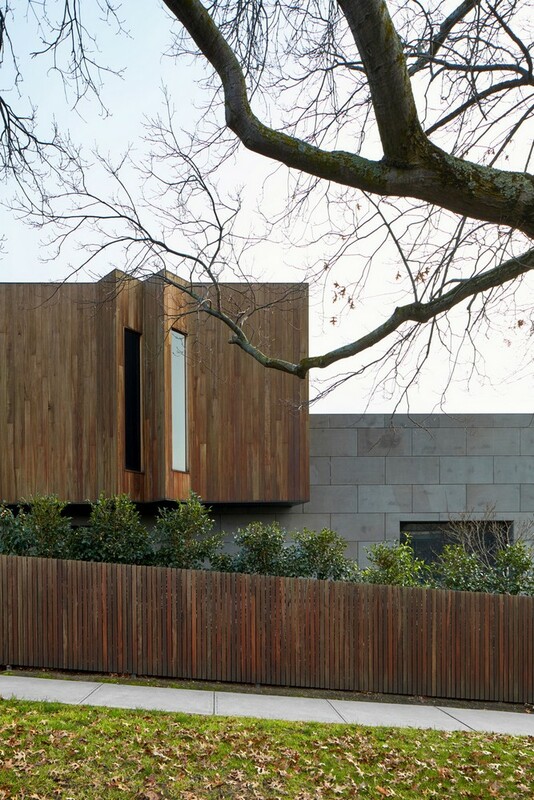 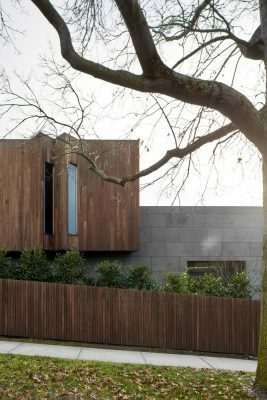 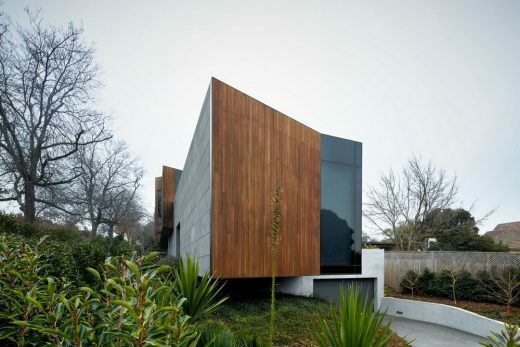 Timber cladding to resonate with the trees. Bluestone cladding to provide a strong base and foundation for the home. 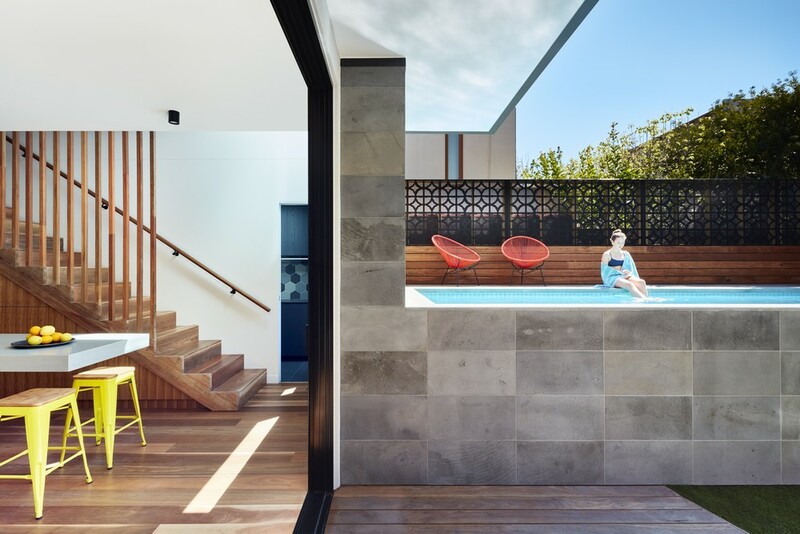 Natural stone is seen throughout the house and helps to celebrate moments of circulation and gathering. 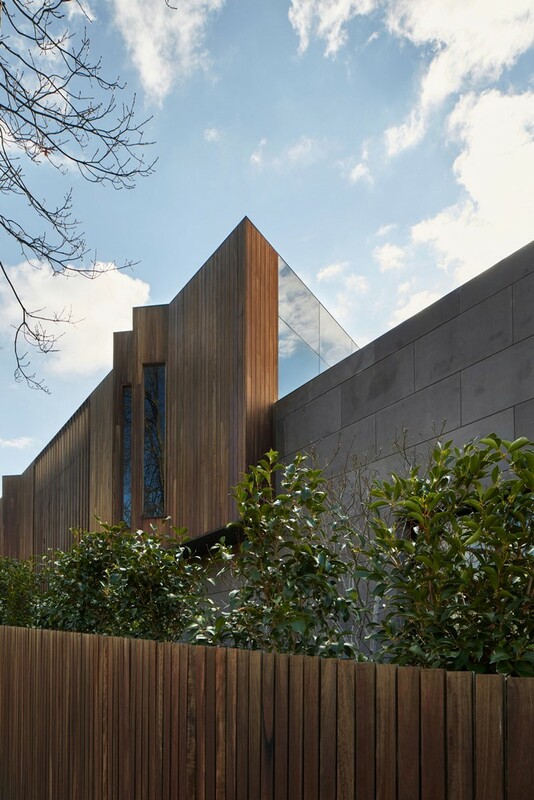 The narrow north-south facing site made orientation of key living areas challenging, particularly as the north faces into the neighbouring home. Although the fall of the site created issues of access, it also presented an opportunity for movement at multiple levels. Street access is through the ground level, with vehicular access from the semi-basement created by the fall of the street. DDA access is provided throughout with future lift access created between. 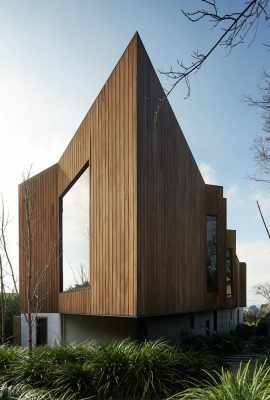 The sprawling level issues and steep gradient created opportunities for engagement with the outdoors as well as assist views to the Dandenongs. 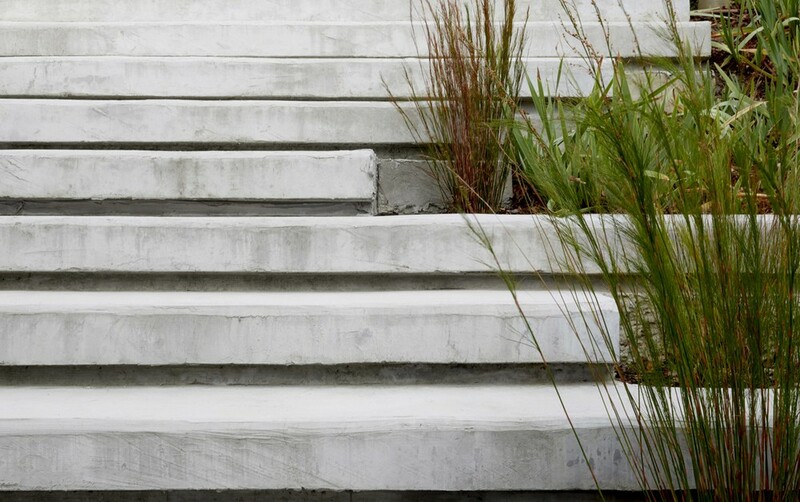 The form is unlike any other on the street. 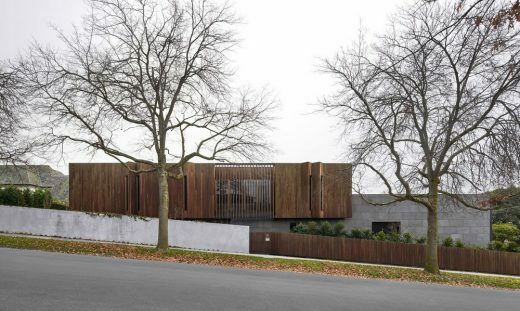 Yarrbat Avenue and its surrounds are in an area of Balwyn which is very much dominated by spec homes in the spirit of French Provincial or Neo-Classical styles. 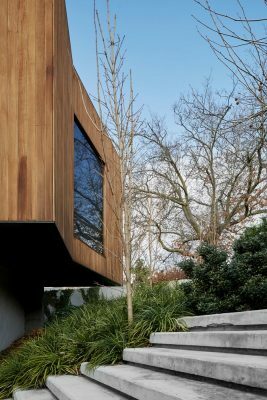 The form provides a single distinct geometric form that hovers out of the earth providing a backdrop to the organic nature of the trees on the street. 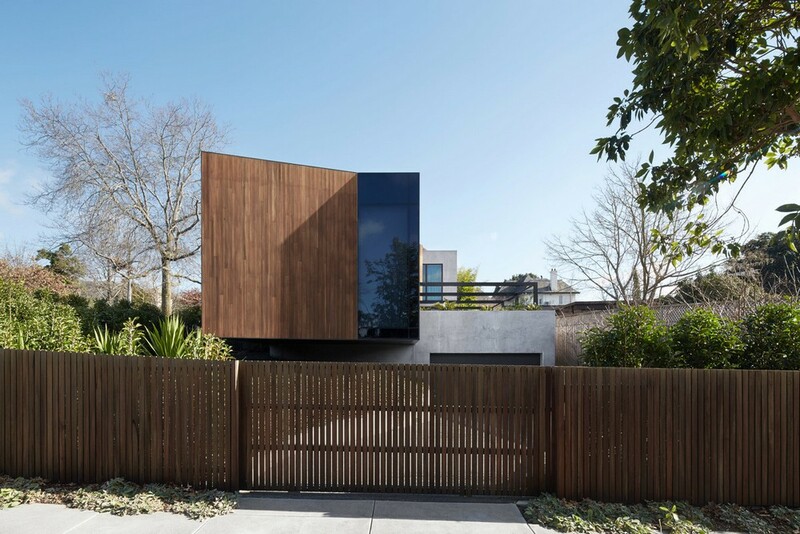 The form peels open in small moments along the street front to provide glimpses of the life behind, all of this nestled in a curated organic landscape environment. Richmond is an inner suburb of Melbourne, Victoria, Australia.